Posted on 28, March 2018 by EuropaWire PR Editors | This entry was posted in Business, Energy, Gas & Oil, Sweden, Technology, Telecom and tagged 5G, Ericsson, Ericsson Energy Alliance, Giordano Albertazzi, Hans Lidén, Nishant Batra, NorthStar, northstar #Ericsson Radio System, radio, Vertiv. Bookmark the permalink. 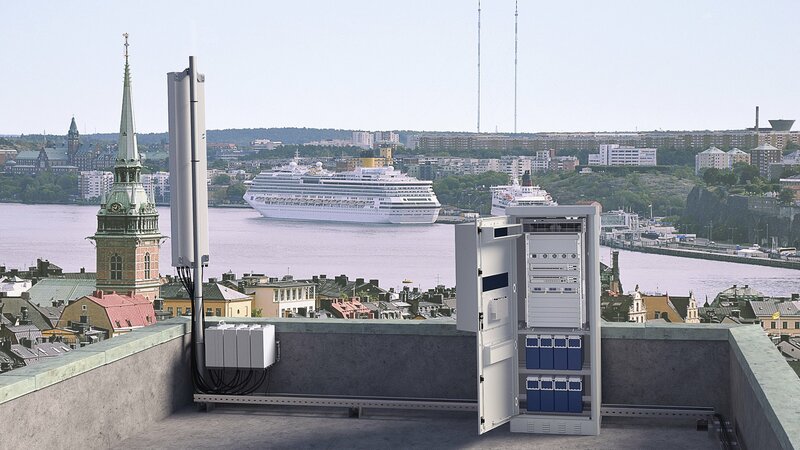 STOCKHOLM, 28-Mar-2018 — /EuropaWire/ — Ericsson (NASDAQ: ERIC) has joined forces with Vertiv and NorthStar to form the Ericsson Energy Alliance, a unique complementary site solution partnership to drive cost-effective and sustainable service provider network evolution towards 5G, within the Ericsson Radio Site System. The alliance brings Vertiv’s global expertise in power, thermal and infrastructure site management solutions, and Sweden-based NorthStar’s leadership in battery and energy storage solutions, into the Ericsson Radio Site System to establish a competitive ecosystem and management interface and increase the market share of the Enclosure and Power parts of the system portfolio. Building on the combined global supply and service delivery footprints, speed and flexibility, unique product competence, local sales support, and easy access to engineering strengths of the partners, the alliance increases competitiveness and cost efficiency through the broadened portfolio and more access to new technology. Alliance partners are also combining strengths in regional sales support. They have also established a harmonized ecosystem for energy supply and storage. Energy and climate systems are also optimized to use the minimum required energy to provide an electronic trusted environment for Ericsson Radio System products, delivering environmental as well as cost-efficiency benefits for service providers. Future joint-development of products is being considered. More companies are also expected to join the alliance this year. Since the alliance was formed in late 2017 it has seen success in customer projects rolled out in countries such as Mexico, Indonesia, Saudi Arabia, and Tanzania. NorthStar is providing a complete range of batteries from basic to highly demanding applications. NorthStar’s battery offering includes high performance AGM Thin Plate Pure Lead, capex optimized lead-calcium, deep-cycling OPzV, and lithium ion. The NorthStar battery range is complemented by the wireless battery management solution NorthStar ACE® and the world’s most energy efficient battery cabinets. Vertiv is providing a broad range of bespoke OEM (Original Equipment Manufacturer) power systems and enclosures, including solar hybrid solutions for off-grid or bad-grid sites. This is complemented by the Vertiv global products, solution and service offerings to meet any regional requirements. NorthStar is a global leader in designing, manufacturing, and deploying an innovative range of batteries and energy storage solutions worldwide. NorthStar products are of the highest quality ensuring the most reliable power while maintaining low total cost and minimal environmental impact. Established in 2000 by a group of experts in the battery industry, NorthStar offers solutions within several applications aligned under the Reserve Power and Transportation divisions. Vertiv designs, builds, and services critical infrastructure that enables vital applications for data centers, communication networks and commercial and industrial facilities. Formerly Emerson Network Power, Vertiv supports today’s growing mobile and cloud computing markets with a portfolio of power, thermal and infrastructure management solutions including the Chloride®, Liebert®, NetSure™ and Trellis™ brands. Sales in fiscal 2016 were $4.4 billion. For more information, visit VertivCo.com.